IBM acquired the Weather Company for its capability to analyze and gain insights from a vast array of sensors situated on planes, trains, automobiles and other machines. CIO Bryson Koehler discusses some of the other opportunities the companies might have. When Weather Company CEO David Kenny met with Bryson Koehler in 2012 he said he needed someone to turn the company into a big data technology business. "You've got three years," Kenny told Koehler. "Can you do it?" Koehler picked up the gauntlet, becoming the company's CIO and CTO that July. Three years later, the Weather Company agreed to a sale to IBM, which will use the Atlanta-based company's assets, including software, infrastructure, intellectual property and data, to buttress its burgeoning Watson business for cognitive computing. IBM will use the Weather Company’s platform to build new predictive applications for retail, energy health care, agriculture, among other sectors. Weather Company CIO Bryson Koehler. "They absolutely bought us for our core technology," said Koehler, who discussed the steps leading up to the Big Blue merger with CIO.com last week. "They believe that for Watson to continue to learn, it needs to ingest new types of information." IBM is among several companies seeking to boost revenues and forge competitive advantages by analyzing vast troves of data. The company is banking on a $3 billion investment in Internet of Things systems that collects data from everyday machines, as well as Watson, which uses natural language processing and machine learning technology to glean insights from large amounts of unstructured data, to spur new revenue growth at a time when its traditional businesses are ailing. Insights from large, IoT-driven data sets is the Weather Company’s forte, says Koehler. “The platform we built runs at high volume and scale with a wide variety of data sets, anything from [satellite] imagery to IoT sensors on planes, trains, boats, trucks, and health devices.” Its core data platform runs in Amazon Web Services and includes NoSQL database software for analyzing text and video from computers, smartphones and tablets. The system collects 4 gigabytes of data per second from 40 million mobile phones, 147,000 sensors in weather observing stations, as well as 50,000-plus daily flights that collect data on temperature, turbulence and barometric pressure. Farmers use Weather Company data to predict when they have to cover their crops before temperatures plummet, relying on the concern’s 10 billion daily weather forecasts. Weather Company also features digital advertising operations that serve ads to millions of smartphones every day. 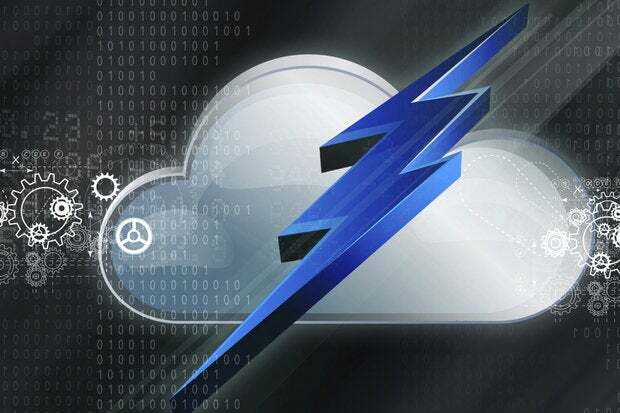 The Weather Company and IBM began their courtship in a partnership last April, with the former agreeing to integrate its AWS-hosted weather data services platform into IBM’s cloud infrastructure software. Third-party developers will be able to use IBM’s Bluemix application development platform to build apps that incorporate weather data. The potential synergies offered by weather data quickly paved the way for the partnership to deepen into a lasting marriage after IBM executives learned from their sales staff that “every single customer wants weather as a data set,” Koehler says. Recognizing a great cultural fit, the companies struck an acquisition agreement in October. Koehler says it’s too early to give insights into the companies’ future plans. But he says he meets regularly with senior executives, architects and business development managers from IBM’s analytics and cloud software teams to discuss their progress. Under Kenny and Koehler's guidance, the Weather Company's digital transformation put the company in a stronger strategic position, enabling it to get acquired by a tier 1 technology company at the vanguard of big data analytics. The Weather Company’s outcome is a vital lesson for CIOs seeking to add the prefix "transformational" to their titles. But Koehler demurred, saying he doesn't like to take credit for the overhaul.